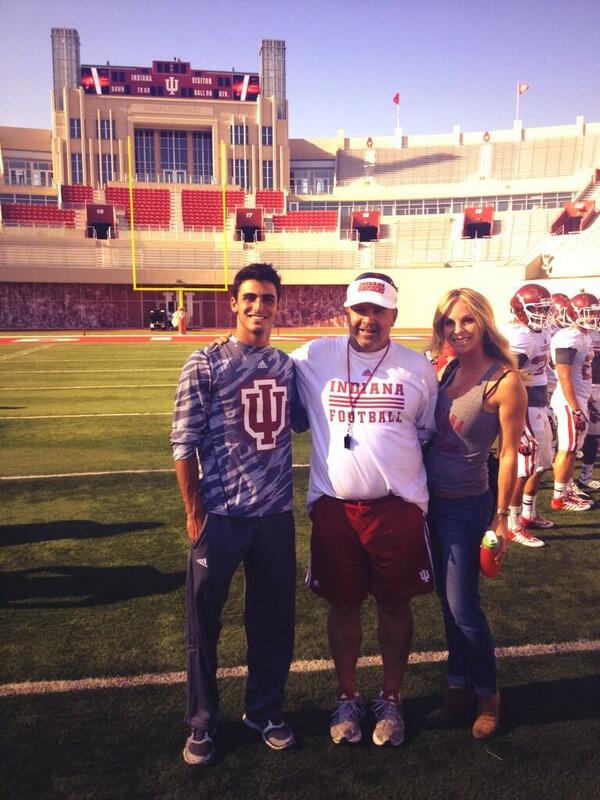 Zander Diamont on the field with Coach Wilson at Memorial Stadium during a campus visit. We are kicking-off a brand new series here at Hoosier Huddle that will be recruiting based. Throughout the year we will be talking to the players who have pledged their commitments to play college football at Indiana University. We figured we would get things started with, where else, the quarterback position. So I checked in with Alexander Diamont, the Hoosier quarterback commit out of the state of California. Diamont stands at 6'2" and is ranked as the number 95 pro-style quarterback according to the 247 Composite. However, by taking one look at his highlight film, you know that the Venice product has more talent than the rankings show. When speaking with Zander, as he prefers to be called, he displayed the confidence you have come to expect from a signal caller from the Golden State. He was extremely comfortable answering just about any question, and truly seemed to love IU with a passion. Make sure to check out the interview with the future Hoosier quarterback above as well as Zander's highights down below.